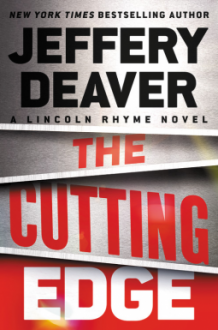 Lincoln Rhyme and Amelia Sachs return to New York City to confront a killer terrorizing couples at their happiest–and most vulnerable. In the early hours of a quiet, weekend morning in Manhattan’s Diamond District, a brutal triple murder shocks the city. Lincoln Rhyme and Amelia Sachs quickly take the case. Curiously, the killer has left behind a half-million dollars’ worth of gems at the murder scene, a jewelry store on 47th street. As more crimes follow, it becomes clear that the killer’s target is not gems, but engaged couples themselves. The Promisor vows to take the lives of men and women during their most precious moments–midway through the purchase of an engagement ring, after a meeting with a wedding planner, trying on the perfect gown for a day that will never come. The Promisor arrives silently, armed with knife or gun, and a time of bliss is transformed, in an instant, to one of horror. Soon the Promiser makes a dangerous mistake: leaving behind an innocent witness, Vimal Lahori, a talented young diamond cutter, who can help Rhyme and Sachs blow the lid off the case. They must track down Vimal before the killer can correct his fatal error. Then disaster strikes, threatening to tear apart the very fabric of the city–and providing the perfect cover for the killer to slip through the cracks.